ALA is the UK’s leading online GAP insurance provider with over 20 years’ experience in the motor industry. ALA takes pride in offering an exceptional level of customer service, is is a three-time Honest John HAT award winner, rated 9.7 out of 10 on Trustpilot. GAP insurance covers car owners in the event their car is written off or stolen. An insurer will only cover the value of the car at the time of the claim. GAP insurance pays the difference between what the buyer originally paid for the vehicle and the comprehensive insurance payout. 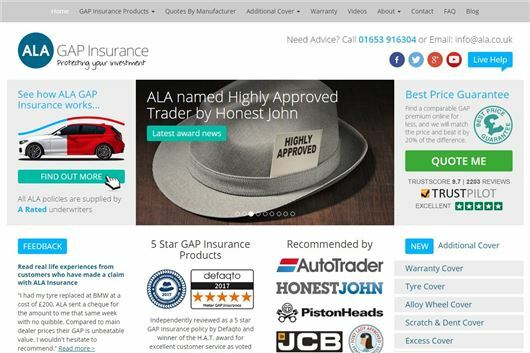 As part of the competition ALA is offering visitors to HonestJohn.co.uk 10 per cent off GAP Insurance - use the discount code LEGO17 at the checkout on ala.co.uk. ALA has also provided a Lego Caterham Seven 620R for our competition - click here to find out about the prize.